Quadpod 4 Stage Swing Seat - FRAME NOT INCLUDED , Baby Toys, 2017 Christmas Toys by OH BABY TOYS at Baby Bouncers & Swings. MPN: BBY_TYS_GFTS_X66. Hurry! Limited time offer. Offer valid only while supplies last. 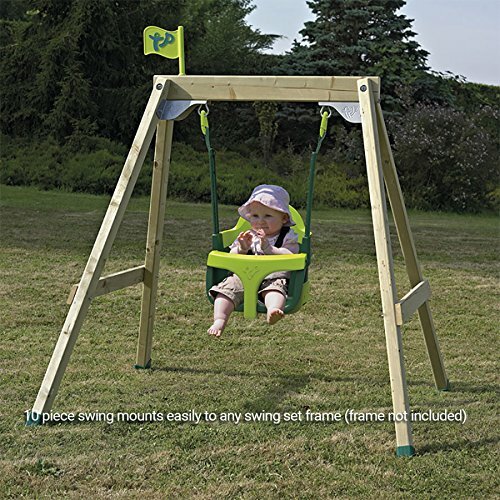 This ''grow with me'' swing will take your little ones from babyhood through middle elementary age, with simple adjustments! Get swinging this summer! If you have any questions about this product by OH BABY TOYS, contact us by completing and submitting the form below. If you are looking for a specif part number, please include it with your message.